Nice we have action , went 6 for 6 on germination all are in solo's. Hoping for the first of my Delirious to show later tonight or tomorrow. Peace OG. The first has begun the ascent. 5 and #6 have split open and now have been planted in coco just like #1 thru #4.. still nothing above ground yet but will post as soon as they do! I have no idea I noticed my letters where more bold!! My bad! It's the pound symbol before the "5". I did the same thing the other day and as soon as I seen it, my phone died so I couldn't change it. 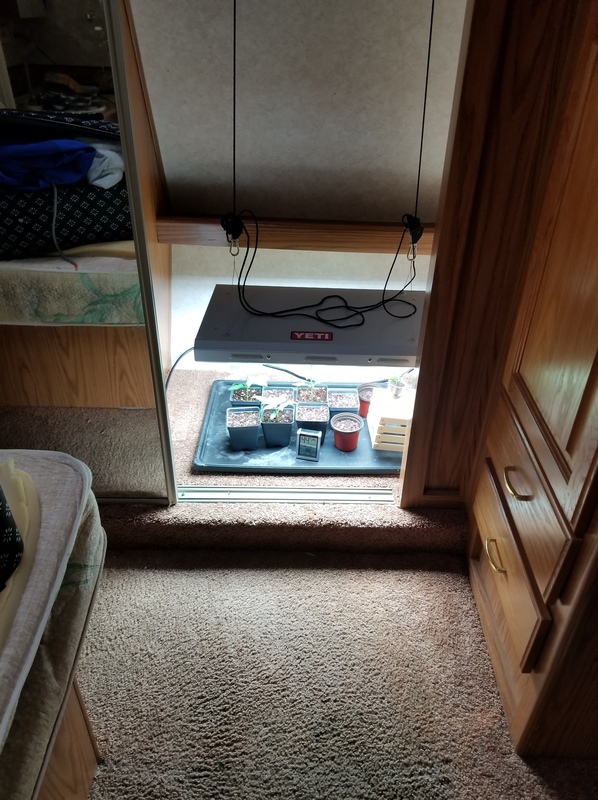 We are camping for the holiday weekend and my littlest ones I just cant leave behind they will dry out before we will get home so I made a little setup in my fifth wheel closet.. Beans arrived. 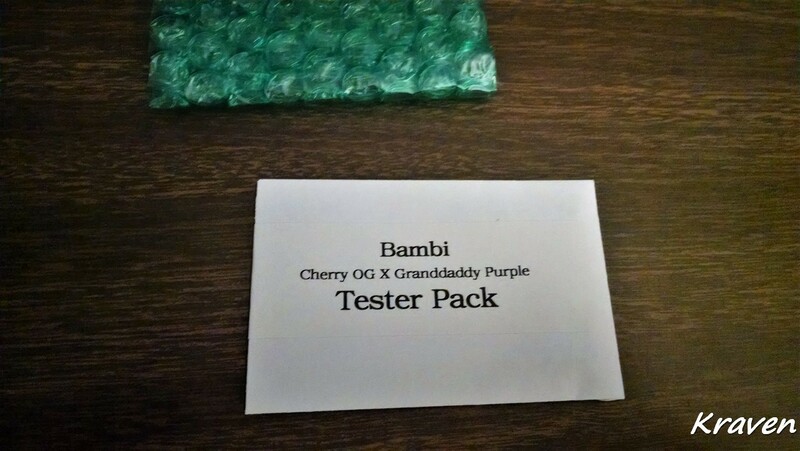 - Cherry OG x GDP "Bambi". Will soak 6 tonight and get the test rolling. Looking like Cherry OG finishes in 10 weeks and the GDP is a 10 week strain too so setting the mark at ~70 days for this run unless you have better info PJ? 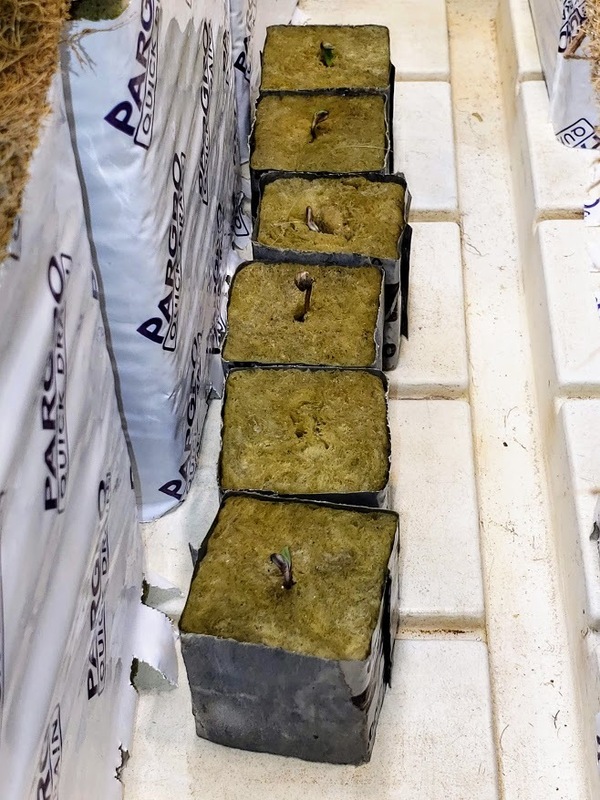 Testing will be done using a sealed grow room with commercial LED lighting and CO2. 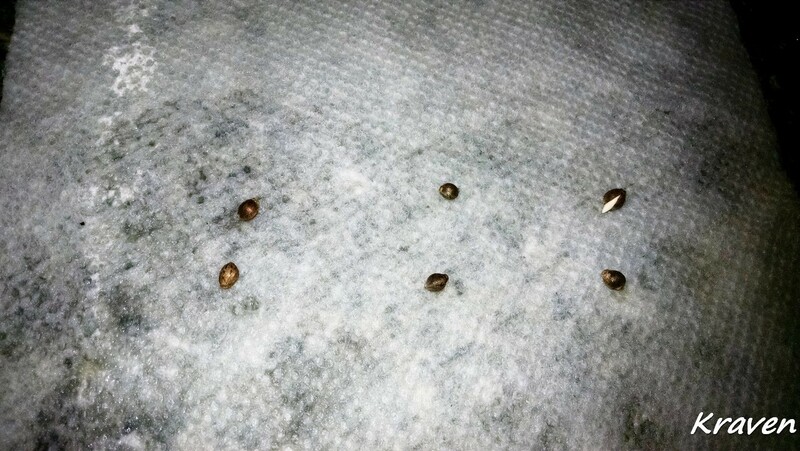 I will run them in a CAP ebb/flow hydo system using coco chips as a medium and Mega Crop 1 part [ feeding veg and flower]. Both should put on a show by themselves, together it should be just an epic test and I should end up with a good "purp" keeper. Thank you @LED_Seedz for a opportunity to test and obtain your genetics in exchange. As expected this will be held tight and not shared until you choose to release, nor will I work the cut ever. 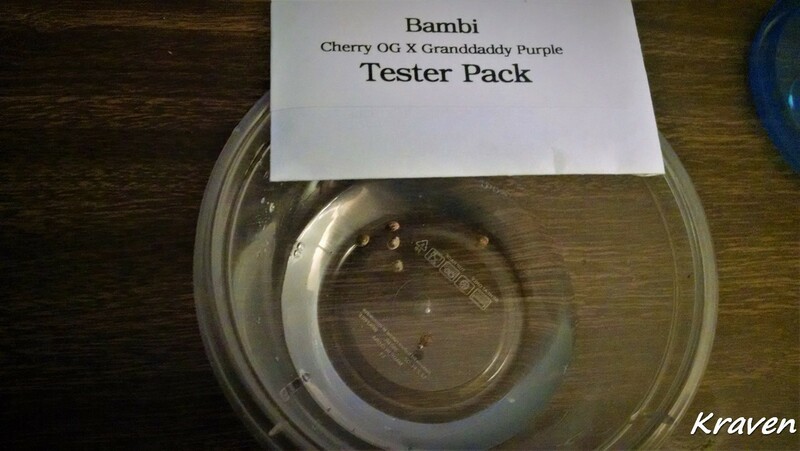 I'm looking to put on a well documented test grow with plenty of pictures so you can make accurate selections based on the info I return to you. 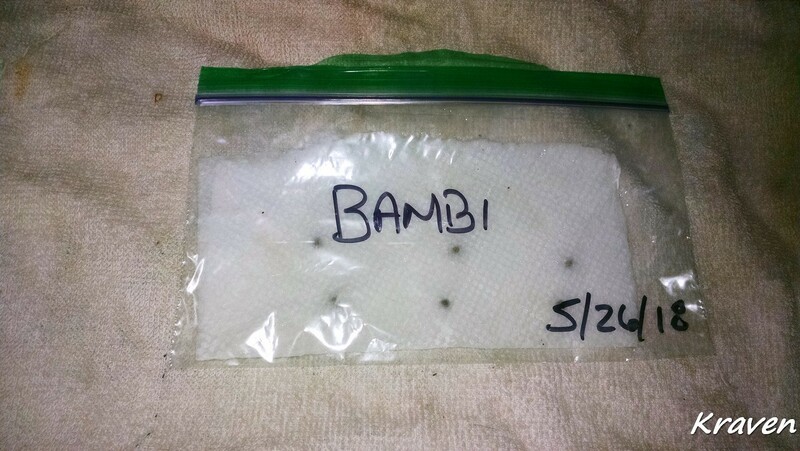 We will also be glad to follow along with your grow. Rock on everyone, wishing for a great grow to all. Starting off good here. Went 6 for 6 germ, have 4 above soil hoping the other two will be up tomorrow. Peace All, OG. And number 6 is now above ground. Starting off kind of pink! Thats 4 for 6 above ground. Saw a tail and some swelling this am so switched them over to a moist paper towel in a zip-loc to give the others a chance to get a tail going then they go into RR plugs. That's 5 of 6 so far. 8/8 are poking their heads out of the rapid rooters. 100% germination as usual from @LED_Seedz. I'll transplant them to paper cups in another day or two.